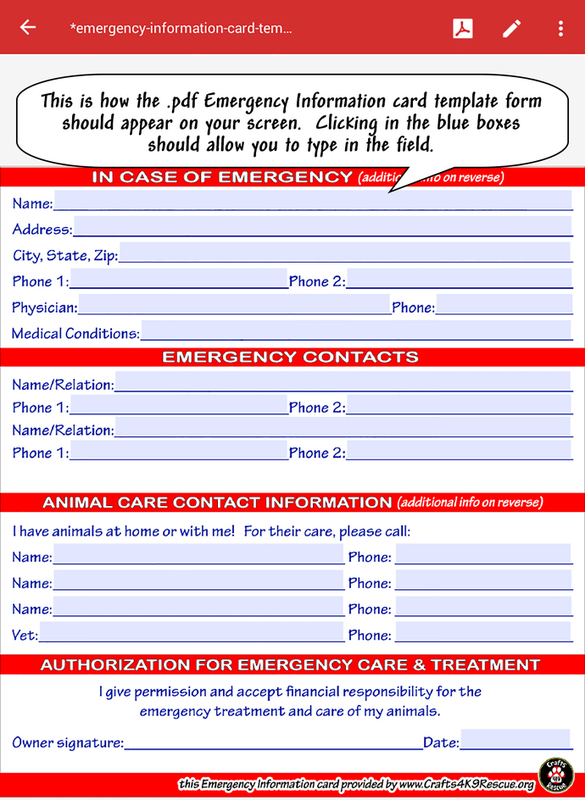 Here's a FREE template of our Emergency Information card that is included with our vehicle Emergency Information wallet. 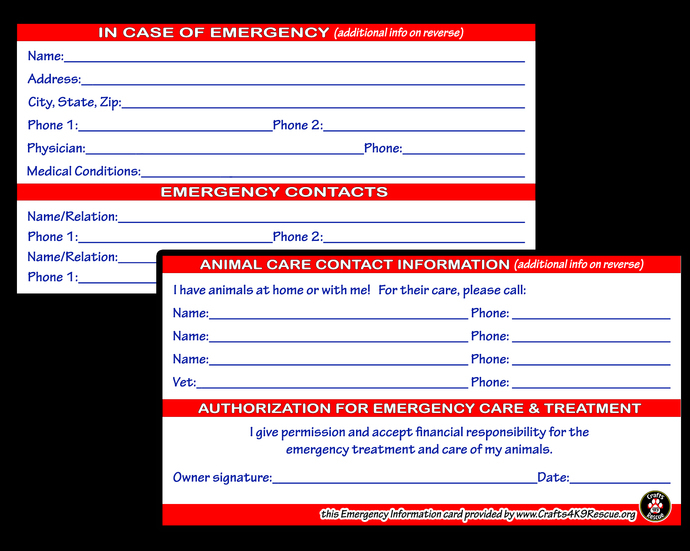 You may want this template small, to fit in the "wallet", or full page to include in our Dog(s) On Board Emergency Info tubes, etc. 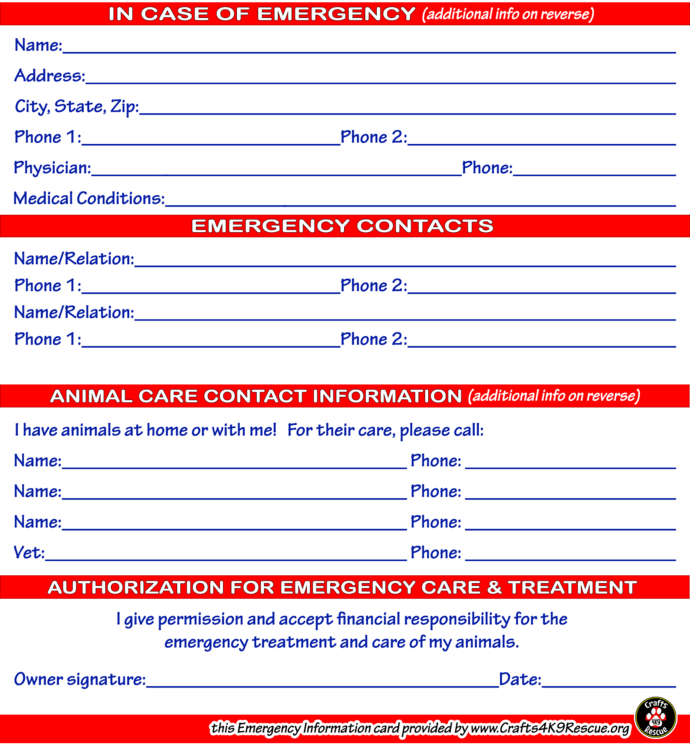 This .pdf file can be resized to whatever size you want the final product and can either be printed and filled in by hand, or fill in the fields using your computer. 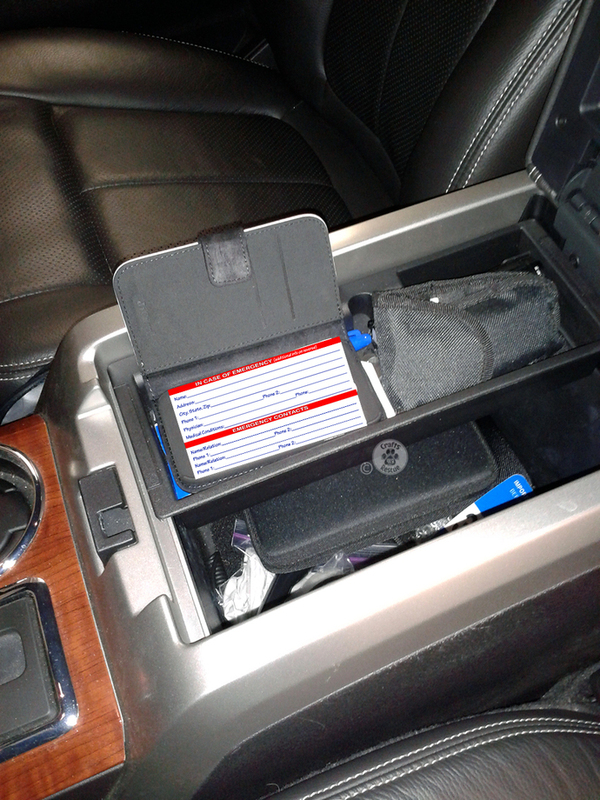 NOTE: This listing is for a digital product only, you will not receive any physical items by mail. Within 24 hours of ordering, you will receive a secure link to download the FREE file. This item may be freely used and shared, but NOT sold.